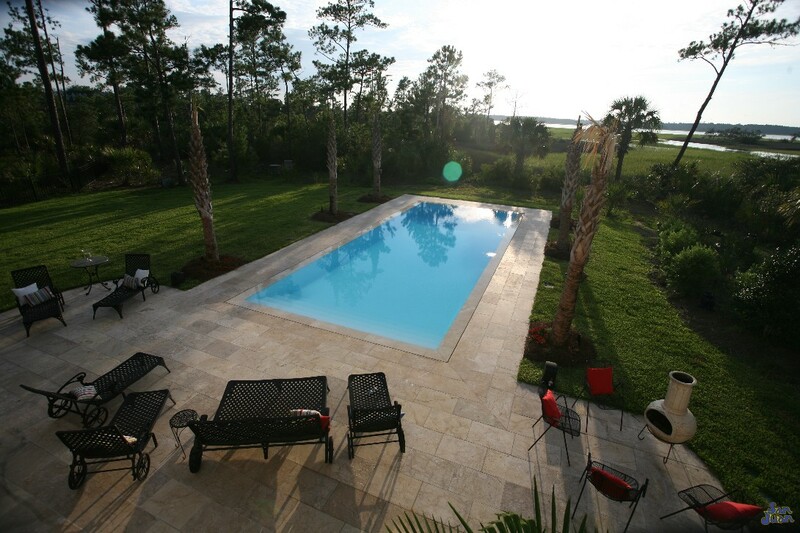 The Oceanside is a stunning rectangular fiberglass pool that’s perfect for your active swimmer! We provide you with a set of extra wide entry steps plus a modest deep end. 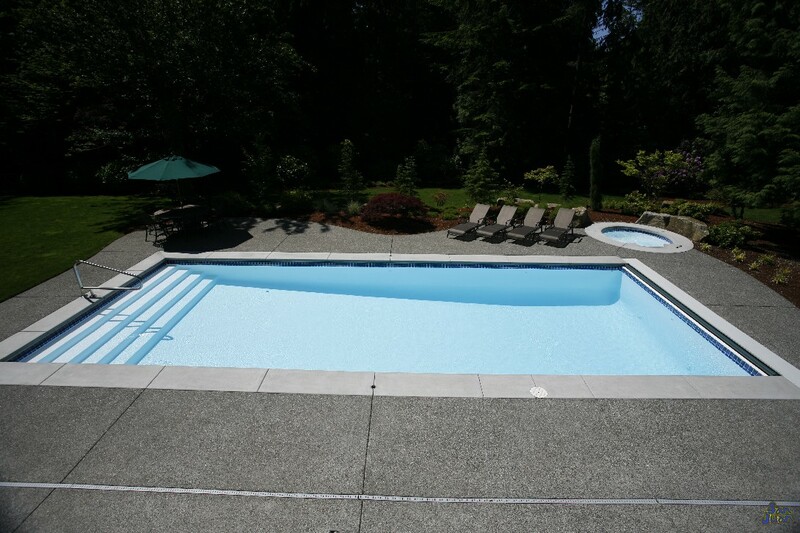 The Oceanside is a modern style fiberglass swimming pool that’s a perfect fit for your active swimmer. 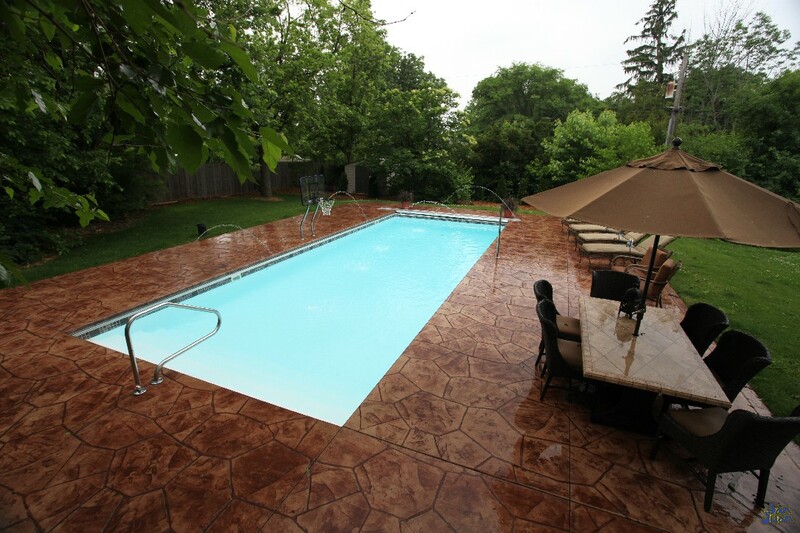 This pool works exceptionally well in large backyards and provides the swimmers room to spread out. 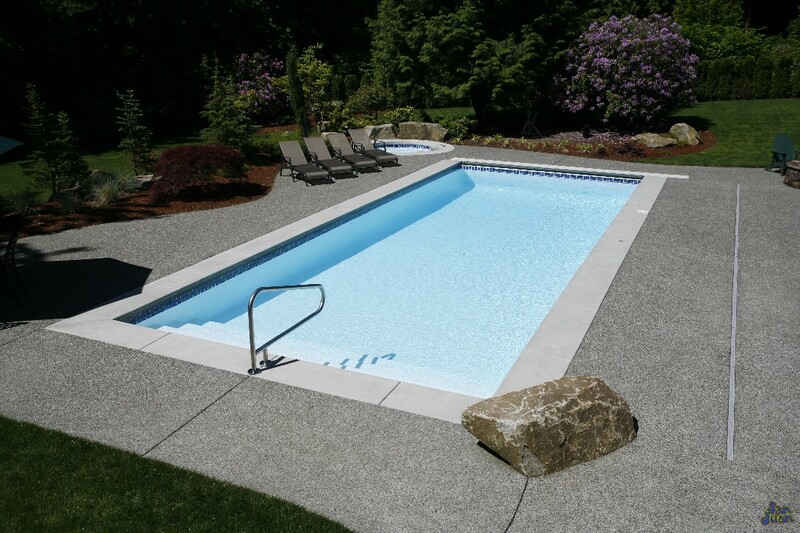 With a total surface area of 602 SQFT, the Oceanside works great for pool water games & aerobics. You’ll be able to keep kids and guests entertained for hours of outdoor play in this modern swimming pool basin. For design considerations, we created an elegant extra wide set of entry steps that extend from both sides of the pool. We recommend adding a pair of figure-4 or artisan handrails to create an elegant look. Your Oceanside is beautifully enhanced by adding various types of water features, decking, handrails, sports games and much more! As previously mentioned, there are many pool games on the market today that work exceptionally well with the Oceanside. Due to it’s modest deep end of only 6′ 4″ & width of 16′ 2″, we’ve created a fairly level swimming pool with lots of standing room. 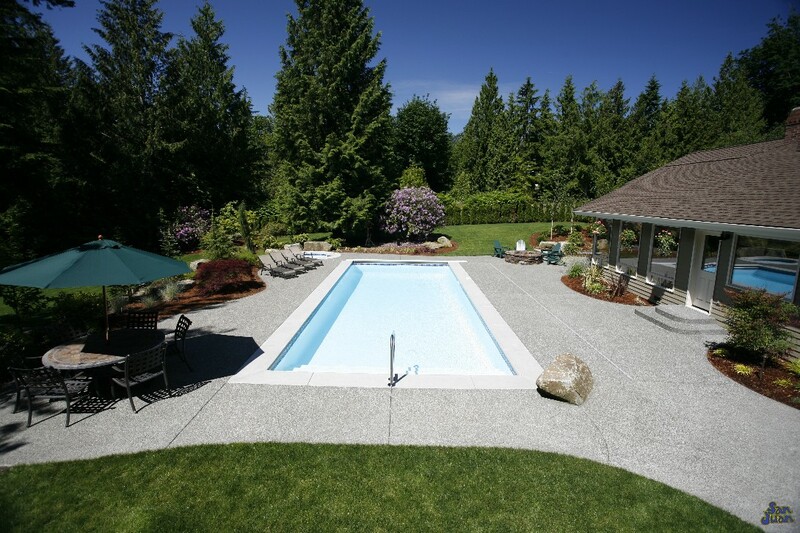 The deep end provides a great landing space for owners that also want to purchase a winding pool slide! Secondly, the extended sides of Oceanside work great for positioning a deck mounted basketball or volleyball set. Regardless of which pool game you choose, you’re sure to impress all of those who want to enjoy a casual game for rest or exercise! If you’re looking for a great way to keep leaves out of your swimming pool, we recommend adding an Automated Pool Cover! There are various options available on the market, and it will work exceptionally well with this rectangular design. Flip a switch on and off, and you’ve got a exceptional way to keep the Oceanside clear of leaves during Fall & Winter. All in all, the Oceanside is a fiberglass swimming pool that’s loaded with potential due to it’s long and wide shape. It’s wide set of entry steps work exceptionally well as an extended seating area. Secondly, you’re sure to have hours of tireless fun by sprucing up this swimming pool with a wide array of pool games & accessories. Regardless of which design options you choose, the Oceanside only gets more beautiful and fun the more that you add onto it! Contact us today to get in touch with one of our dealers for pricing and design options. 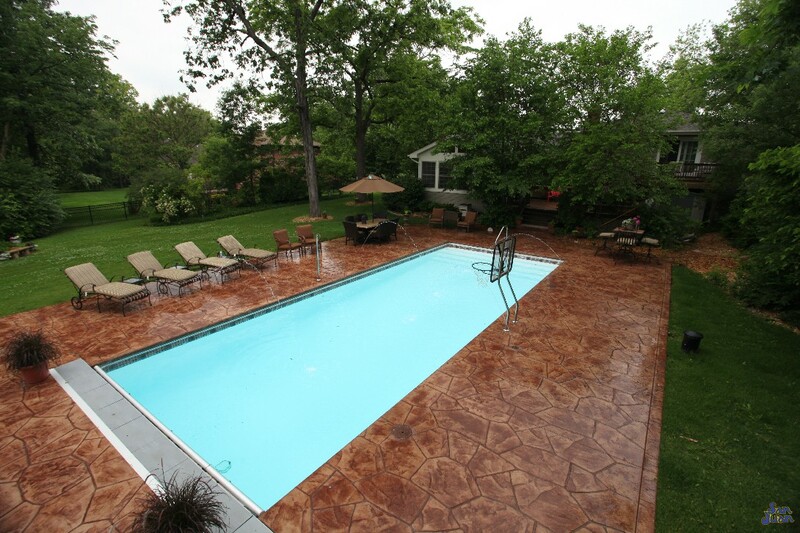 We’re here to help you along your journey to pool ownership and make the experience both rewarding and fun!